Many young dancers do not understand that this early wear and tear on the joints as a result of forcing themselves into positions that their bodies are not meant to be in will have lifetime impact and make them more susceptible to injuries. This is a very black and white issue. Forcing turnout causes injuries. Period. Myth about turnout: If your feet are turned out 180 degrees, that means you’re using your turnout. Truth: Turning out requires rotating your legs from the inside of the hip all the way through to your feet. To maximize flexibility in the hips, most dancers need to begin training early while their bones are still growing. The best age range for building turnout-related flexibility is between 8 and 12 years old. Proper stretching can also improve rotation slightly after the age of 12. But all the flexibility in the world will mean nothing if you don’t have the strength to control it. Turning out correctly uses the lower abdominal and lower back muscles, the glutes and the thighs. It also requires proper placement. In order to get the most turnout, you have to pull up to create room between the bones. In other words, if you sink into your hips and legs, tuck under and grip your turnout, you won’t be able to maintain your rotation as you move from one position to the next. I have also observed that the dancers who force their turnout at the barre are never able to maintain it in the center. You should always be working within your natural and proper turnout so that it can be maintained at all times and even more so in the transitional steps of your dancing. Forcing your turnout can affect numerous parts of the body, not just the knees. When the knees, ankles, and feet are wrenched into a position that’s beyond a dancer’s natural limits, extra pressure is placed on the bones, tendons, ligaments, and muscles in order to hold them in that position. This affects the entire alignment, causing the dancer to grip and compensate. Dr. John Brummer, a podiatric surgeon who consults with the School at Steps in New York City, says that forcing turnout can irritate and inflame the ligaments around the ankle joint. “When you push your ankle bones against those ligaments, you put undue pressure on them, causing a strain injury,” says Brummer. Forcing turnout from the ankle also causes the tibia (the large shinbone), to twist. This twisting irritates the tibialis posterior muscle, which attaches to the tibia, and can result in shin splints. All of the unnatural twisting, weakens the ligaments that are responsible for the stability of the ankle and the knee and disturbs the natural line of the Achilles tendon, causing tendonitis. Tendonitis can also develop in the patellar tendon which attaches the quadricep muscles of the thigh to the tibia. In conclusion, proper alignment, use of turnout stemming from the hips, and the use of the lower abdominals and back muscles along with the thighs and glutes, will allow for you to engage your turnout from the proper place. If you want to avoid unnecessary injuries and have a long career, remember this: forcing turnout causes injuries. If you would like to continue you the learning, consider joining our Dance 360 Online Community. 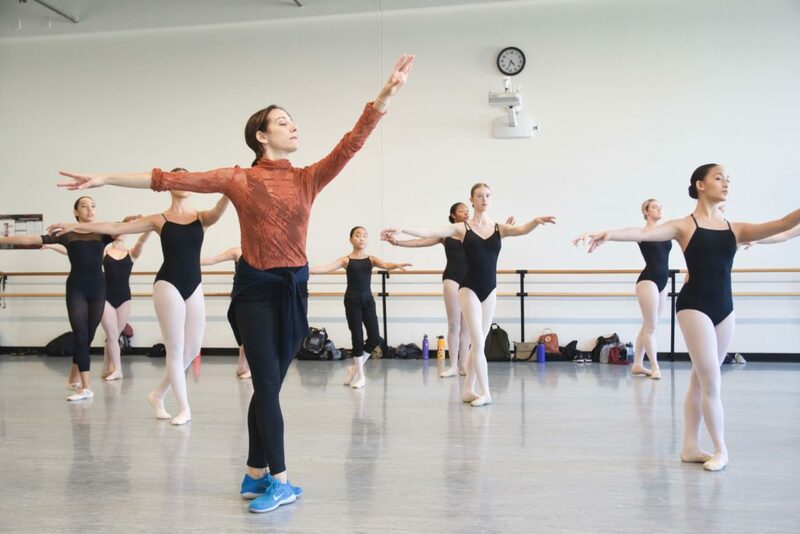 Whether you are a teacher that is looking for new and innovative ways to push your young dancers to new heights, or a parent trying to understand the journey of a dancer, this program will better equip you and create a nurturing and safe space for you to ask questions, and participate in a way that you can get support from a more informed and involved place.